Additionally, there is an increase in the number of deadly diseases such as cancer. This has created a need to increase the production of drugs and develop new drugs to reduce the burden on existing ones. These factors are also increasing the demand for high-quality analytical services2, for example, the desire for analytical and bioanalytical methods that address the growing market for complex compounds and biologics. Added to this complexity is the quickened pace at which service providers are expected to help progress these products into the clinic. To this end, contractors are enhancing their knowledge base. This annual Drug Development & Delivery report highlights some of the analytical testing services that leading contractors offer aimed at the increasing complexities of today’s pharmaceutical pipelines. Alcami offers a range of services with extensive experience in development and validation utilizing various detection techniques. For peak identification specifically, mass spectrometry and NMR equipment, as well as standard characterization, are deployed. Moreover, Alcami has cleaning validation experience, particularly in its oral solid dose and sterile manufacturing facilities. Alcami also provides complete environmental monitoring and water analysis services. Alcami assists with API structural characterization, drug product formulation, and full-on method development/validation work in support of a product’s lifecycle and production. At present, Alcami has more than 265 products in its portfolio. Alcami’s API portfolio includes more than 90 clinical and 20-plus specialty commercial and generic products, and its drug portfolio encompasses more than 90 clinical and 65-plus specialty commercial and generic products. Alcami’s current contribution to the bioanalytical and biopharmaceutical space focuses primarily on antibody, protein, and peptide evaluations featuring cell-based bioassays, residual DNA analysis, particle identification, and extractable/leachable programs. “In the biotech area, we have invested in technologies and capabilities, including new qPCR equipment,” says Director of Biotechnology for Alcami Vernon K. Dailey. Extractable and leachable evaluations are becoming increasingly more vital to patient safety considerations and gaining regulatory approval. Heightened requirements necessitate manufacturers to seek subject matter experts who are aware of these industry trends and changes in the regulatory landscape for medical device evaluations and container qualification. Across its suite of discovery, development, and analytical and solid state capabilities, AMRI offers bioanalytical methods for the extraction and quantitation of drugs and metabolites in biological fluids and tissues including, but not limited to, biological sample preparation, rapid selection and method development, quantitative bioanalysis, radiometric detection, and structural characterization of metabolites by LC/MS/MS, LC/NMR, capillary NMR. Recently, AMRI introduced ultra-high resolution Q-TOF mass spectrometry services for large and small molecule analyses. 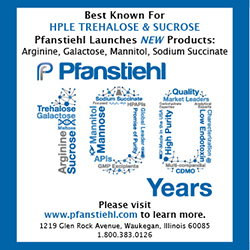 Using state-of-the-art instrumentation enhances the company’s capabilities in analysis and data interpretation for small and large molecules, including biologic drugs, metabolites, and polymers to meet the expectations outlined in the ICH Q6B Specifications. 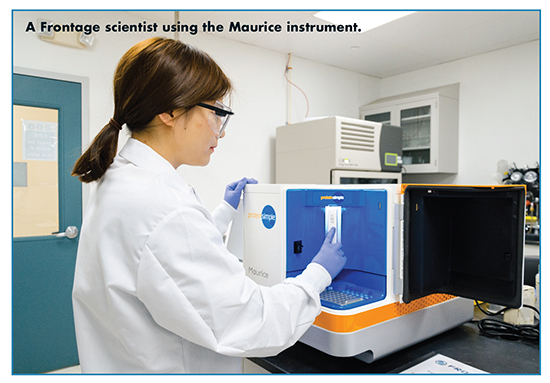 In addition, AMRI offers a range of analytical technologies to characterize biologics and biosimilars, such as HPLC (RP, IEX, SEC, IC), gel electrophoresis (SDSPAGE/Native PAGE; IEF) for separation and purity evaluation, N-Terminal Edman Sequencing and amino acid analysis for protein identification, MALDI-TOF mass spectrometry for molecular weight determination, dynamic light scattering, SEC MALS, and SEM for aggregation state evaluation, and a variety of spectroscopic techniques (NMR, UV/VIS, IR and Raman) for fingerprinting of macromolecules. In addition, ligand binding and activity assays together with LAL endotoxin testing are provided to support batch release of biologicals and biosimilars. “Having advanced analytical technologies that provide important information from different dimensions is essential to probing the physical and chemical attributes of these increasingly complex systems, such as drug-conjugated antibodies,” says Dr. Smith. AMRI also sees growing interest for advanced formulation characterization approaches, patient-centered innovations, and emerging modalities for oncology. “This is particularly exciting for AMRI as we continue to strengthen our analytical and solid-state services, expertise, and technologies to support a variety of complex needs for our customers through our pre-formulation, material science, particle engineering, and analytical testing services,” Dr. Smith says. The analytical services arena has increased within the past few years in the area of specialized testing. When manufacturing of a drug product, analytical prudence is premium, leading to a need for a cleaning validation procedure and to be in full compliance with regulatory agencies. “This will confirm that the production equipment is prepared to perform its duty for the required manufacturing method,” says Alvin Persad, PhD, President/Cofounder, Aztech Sciences Inc.
Dr. Persad says that the cleaning validation method is analyzed by HPLC/GC, depending on the product’s physicochemical properties. Specialized stainless steel (ss) plates give a representation for the surfaces of the production equipment. These plates will be the platform for the wet chemistry reconstitution analysis and sampling, followed by HPLC/GC. These results will provide the specification criteria to be set. Catalent Biologics has acquired state-of-the-art frontline analytical capabilities and equipment to offer comprehensive analytical testing services for biologics. These range from early-phase screening to later-phase product characterization, and encompass chemistry, biochemistry, and biological techniques. Unique challenges have arisen with the rapid growth of biologics analytical demand, and ICH, USP, and FDA regulations are evolving to address new biologic entities. “The new biologics are more complex, and the pace to see them progress into the clinic is faster than ever previously seen,” says Dr. Mathur. Concurrently, the biosimilar market requires the comprehensive analysis of molecules faster than ever before. Sponsors are competing to be the first to market with new original biologics or biosimilars. The need to bring drugs to market faster, at minimal expense is driving the increased demand for high-quality GMP analytical services and outsourcing characterization work. 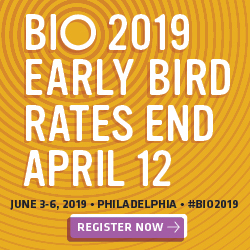 The increase in biologics characterization to understand the product from the beginning of development is, in turn, driving the need for strategic partnerships. “The partnerships that Catalent is forming ensure that the understanding of the product is built over time, consistently and coherently,” says Michael Merges, Director of Strategic Growth, Biologics, Catalent. Mathur adds that characterization of drug functionality and efficacy beyond cell-based potency assays is being increasingly requested. As a result, Catalent is adopting rapid cell-based functional assays for early screening before the drug is put into humans. “The advent and rapid rise of quantitative mass spectrometry with supporting technologies and instrumentation in the last decade has been instrumental in pushing the limits of characterization further,” says Mathur. Catalent’s experience suggests there is a rising need for drug sponsors to engage early in the process to learn about the product. Recently, Mathur’s team worked with a large biotech drug manufacturer on a new and specialized program that was not typical for its conventional line of drugs and pipeline. The need was for successful engagement during pilot runs to ensure that the product had the desired quality attributes before full-scale production commenced. These requirements included method validation and rapid turnaround (~five days from sample availability to test results) for the analytical testing, which primarily required mass spectrometry characterization. Analytical testing for biologics usually require an array of methods to elucidate the multifaceted aspects of structural, physicochemical, and functional properties. 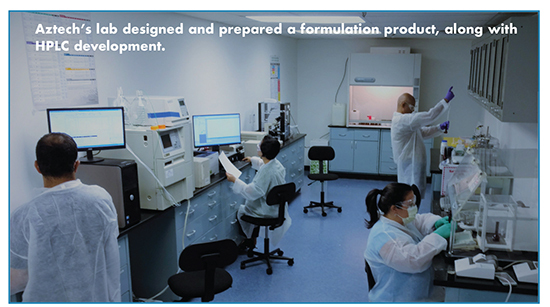 Frontage Laboratories has a range of capabilities to conduct testing release, stability, and comparability testing of the biologic products. To that end, Frontage scientists perform analysis of the critical quality attributes that need to be clearly assessed based on the potential impact on the manufacturing process, and clinical and regulatory requirements. Large molecules, such as proteins, usually contain hierarchic levels of structures: primary, secondary, tertiary, and quaternary structures. Degradation of these structures can potentially impact the quality, potency, stability, and clinical outcome of the protein therapeutics, and can occur at all levels of the structure. The degradation pathways of a protein can often cause changes in charge, size, and mass. Frontage deploys several analytical methodologies, such as chromatography, electrophoresis, and mass spectrometry to detect these changes. With regard to the advent of novel therapeutic modalities for cancers, such as engineered CAR T-cell therapy and cancer gene therapy, there is increasing demand for developing new and unconventional methods for analyzing these therapeutic agents. Frontage Laboratories is at the forefront of these techniques, Dr. Zhao says. For example, CAR T-cells are produced using genetic modification of the blood cells harvested from patients. The CAR T-cells are tested for identity based on cytochrome oxidase or short-tandem repeat profiling and DNA fingerprinting, while the viral vectors are analyzed by sequencing of transgenes and restriction enzyme digestion. As the pharmaceutical industry continues to experience consolidation and downsizing, more aggressive outsourcing efforts are underway with regard to analytical services. 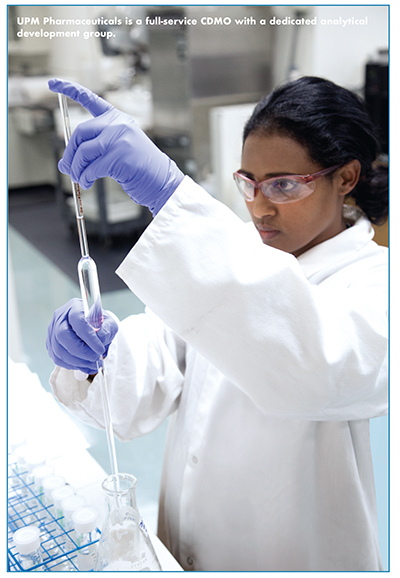 UPM Pharmaceuticals is a CDMO that uses a Quality-by-Design (QbD) approach to method development to ensure that the most appropriate and robust techniques are developed for each specific application. This approach also ensures that analytical methods are developed from the start to transfer to commercial operations. UPM accomplishes this through the use of diverse array of technology platforms, including the latest UPLC/HPLC, GC and FTIR systems, particle size and TOC analyzers, UV spectrophotometers, and state-of-the-art software systems for data acquisition and document management. “Not limiting itself to a specific platform makes UPM’s analytical services group highly versatile and capable of responding to a range of needs, including the development of methods for novel compounds and controlled substances,” says Daniel Dixon, Vice President of Quality Control, UPM Pharmaceuticals. 1. Pharmaceuticals Analytical Testing Outsourcing Market Worth $9.6 Billion By 2025, Grand View Research, Inc., Jan. 2017, https://www.grandviewresearch.com/pressrelease/global-pharmaceutical-analytical-testing-outsourcing-market. 2. Key Aspects of the Global Healthcare Analytical Testing Services Market, Technavio, November 24, 2017, https://www.businesswire.com/news/home/20171124005027/en/Key-Aspects-Global-Healthcare-Analytical-Testing-Services.